Contact us today for a free consultation and see how we can improve your conversions through paid advertising. PPC (pay per click) is all about conversions and return on investment. Although it’s important to keep up-to-date with trends and updates, if your account isn’t providing a good return on investment, it’s not worth having. When looking at PPC, we take it from the approach of “if it’s our money, how would I want it best spent”. In our opinion, it’s better to focus on individual keywords rather than a broad keyword, which as a result increases the number of conversions. The above statement is how we proceed with all Google AdWords accounts. We want to achieve the highest possible position, receive the highest number of clicks but for as little cost as possible. When we run your campaigns, we make sure you are kept up-to-date. 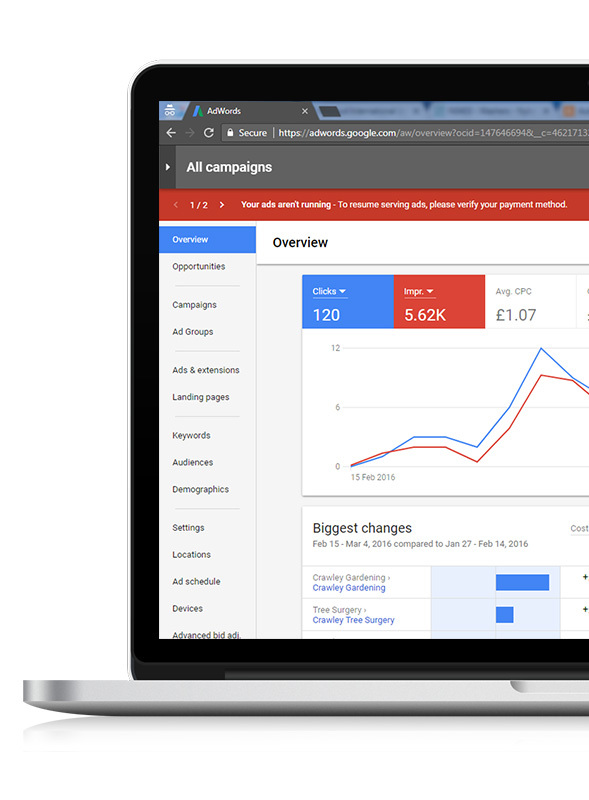 We use a Google tool called Data Studio, providing graphs and tables of the number of clicks, impressions, quality score and total cost. This way you can keep an eye on how much you are spending and what keywords you are focusing on. This is a complete live feed of your AdWords account, real time. 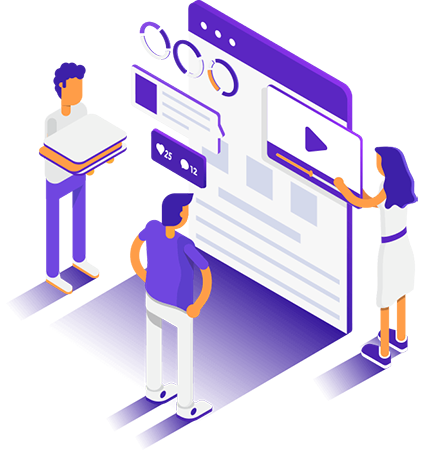 We can also tie this into your Google Analytics, providing you information on number of visitors, whether they came from AdWords, Search Network, Social Media or any other platform you are advertising on. Every month we will run a report, suggesting changes and keyword adjustments to better improve your account. We will make sure all keywords are relevant to the landing page and each keyword has a minimum quality score of 8/10.